Long-term-care provider Kindred Healthcare said it has promoted Adam Darvish and Jack Shapiro, 57, to vice president positions in the Louisville, Ky.-based company's hospital division. Darvish has been with Kindred for more than 20 years and served most recently as executive director of the Southern California district, which includes eight hospitals. 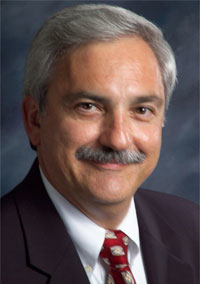 Shapiro has served as executive director of Kindred's Illinois/Wisconsin district, which includes five facilities in Illinois, one in development in Springfield, Ill., and one in Milwaukee. He has been with the company since 1995. In a company news release, Kindred said both men will continue to oversee their respective hospital markets. Kindred also appointed Sally Brooks to the new position of vice president and medical director of the company's health services division. Brooks will help develop and implement what Kindred calls “physician engagement strategies” as well as clinical program development in the company's transitional-care centers and units. Previously, she worked at UnitedHealth Group and Anthem Blue Cross and Blue Shield, where she developed and implemented Medicare and Medicaid clinical programs that serve both ambulatory and nursing center populations, Kindred said in the announcement about her appointment.